A friend of mine posted something about the Hostess situation on her Facebook status. She’s not a fan of the food but also indicated that folks shouldn’t worry – that someone will buy Hostess and the junk food will remain. She may be right. I hope so because a lot of U.S. jobs depend on it. I just have to say that this is the kind of attitude that is killing our country. Everyone with an agenda can justify any situation they want, but if a company they are working for would fail, they’d be whining all the way from here to the unemployment office, probably blaming the Bush administration. Hostess is surely a company with a ton of problems -starting with the labor unions and ending with the company’s financial issues and previous empty threats to liquidate that the unions didn’t believe. And yes Hostess makes garbage food, but show me one company – ONE – that is above reproach. If every company that isn’t above reproach were to go out of business we would be back to a the dark ages – at best. Free enterprise is a system that keeps companies in business so long as people buy their product or use their service. 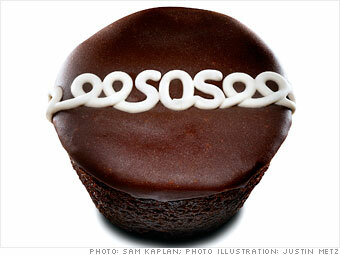 The 18,000 people who work for Hostess aren’t throwaways simply because you don’t like their cupcakes.